Combining power and performance with comfort and convenience, the DEWALT 1.25 HP Compact Router with Plunge Base and Bag has a durable 1.25 hp motor to tackle your most demanding applications with ease. Featuring variable speed control to optimize bit speed to the application, the soft-starting motor features full-time electronic feedback that maintains motor speed throughout the cut. The motor can easily be transitioned between fixed and plunge bases and the plunge base includes overmold rubber handles for a comfortable and secure grip. Sturdy, stable and built-to-last, the large platform provides added stability for heavier applications, while the extended sub-based provides greater work surface contact for exceptional user control. 2 HP Fixed-Base Router The versatile 1617 was the first router in its class to have a 2.0 (Max.) horsepower rating, linear depth adjustment and numerous other routing innovations; the powerful 11 Amp motor with its rated speed of 25,000 RPM handles tough routing jobs. The units RA1161 fixed base features a quick-clamp system for fast, tool-free depth adjustments, and its linear microfine bit-depth adjustment system allows for accurate depth adjustment over the depth range of 1-5/8 inch. For router table usage, the RA1161 includes threaded table-mounting holes in both the Bosch 4-hole pattern and the common 3-hole pattern. The bases advanced bit-height adjustment system allows you to conveniently adjust the bit height from above the router table. The motor housing and bases are made of aluminum, and the power switch is now completely dust-sealed. 2 HP Fixed-Base Router is rated 4.3 out of 5 by 9. Rated 5 out of 5 by Cisco from Pleased with the purchase. Good power and simple to operate. Did not notice you cant adjust the... Pleased with the purchase. Good power and simple to operate. Did not notice you cant adjust the speed. Still a great router. Mounted it in a bosch router table. Love the above hight adjustment. Rated 1 out of 5 by Dan from I bought this with the plunge kit about 4 years ago to use occasionally for home use. The 2610934... I bought this with the plunge kit about 4 years ago to use occasionally for home use. The 2610934197 Armature just burned out along with the brushes. It is so burned up where the brushes make contact that it needs to be replaced. 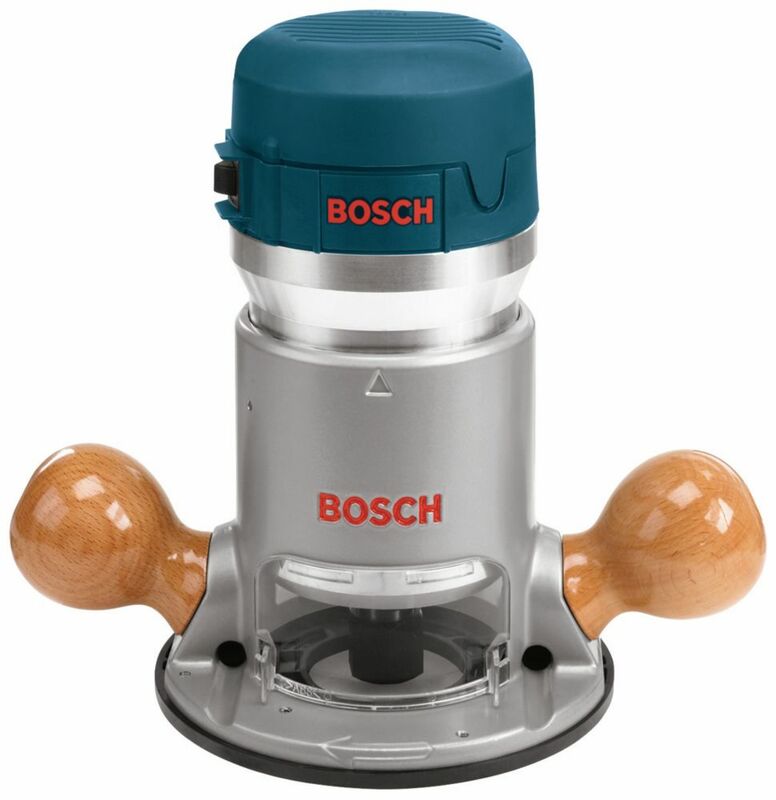 BUT, the armature is now obsolete so now I am with out a router and will not purchase another Bosch product. There is no reason why a part this important should have burned out to the point where the brushes were grinding. I take care of my tools and clean after every use. I gave it one star only because it worked great when it actually worked. beware when spending your hard earned money.. Rated 5 out of 5 by Anonymous from Great Product Excellent, but price could be better. Very powerful. Used it for my router table. Rated 5 out of 5 by Mangowood from My Favorite Tool! Been using this tool for several months now and I love the power, precision, and ease of use. Great buy, look forward to getting the plunge base soon. Rated 4 out of 5 by Pilgrim from So far so good! Purchased with Bosch router table and it all works great. Have not had time for ant large projects. Test runs proved positive. Rated 5 out of 5 by Magrew from Still going strong I have had this router for almost 5 yrs. and it has been in a router table most of that time.I have made everything from small moldings to raised panels using 3 1/2 " bits and a router speed control,This router has never let me down in anything I have tried to do with it.The power is there if and when you need it.Using it for cutting dovetails with a jig the wood handles on the base are comfortable and provide excellent control over the router.I would buy one again if I were to need a new one. Rated 5 out of 5 by VirtualTexas from Always gets the job done The Bosch 1617 fixed-base router ALWAYS gets the job done. Set the collet and it stays. Wooden handles are comfortable and well placed. Unit is very durable.